Alas, however, the tractor is stuck in the back acre of the farm, the brass band is complaining about how the cold weather results in lips getting stuck to mouthpieces, the small children are all back in school, and one of the unicyclists injured themselves with volume 26 (‘Pre-Columbian - Sacred’) during a routine practice session. Which means that all we’ve got in the way of New Year’s Excitement is . . . new books. We sense your disappointment, but perhaps Alexandre Dumas’s The Red Sphinx can change your mind. What’s that? you ask. Why it’s the sequel to The Three Musketeers. But I thought there was already a sequel called Twenty Years Later? you say. That is true, but The Red Sphinx picks up twenty days after the events of The Three Musketeers and follows Cardinal Richelieu, Queen Anne, and King Louis XIII as they continue their intrigues. Dumas introduces us to the Comte de Moret, an actual historical figure who was the half-brother to King Louis, which—as you can imagine—dials the courtly intrigue up to about twelve and a half. 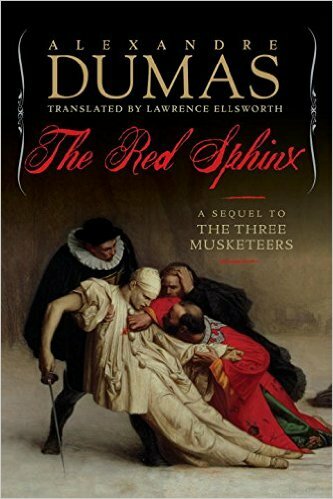 This edition of The Red Sphinx is the first English translation of this lost serial, which Dumas wrote late in his life. This week also sees the release of a new Douglas Preston book, a non-fiction account of his adventure in the Hondoran jungle, exploring an actual lost city. 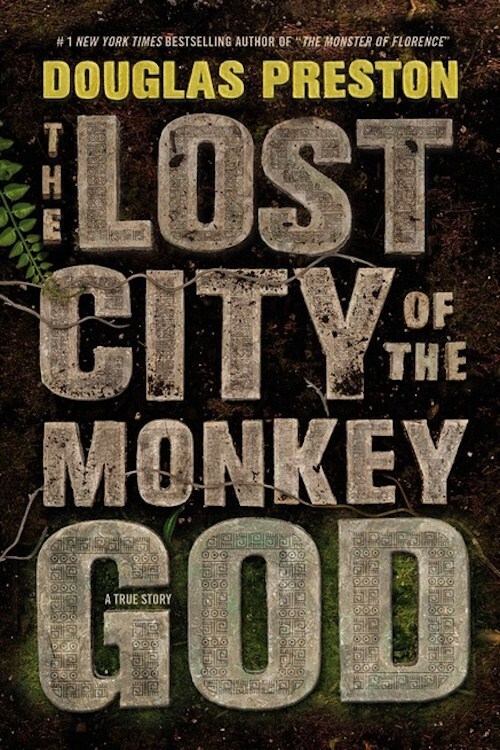 Preston (along with Lincoln Child) is the author of the celebrated Pendergast Series, and in The Lost City of the Monkey God, he takes on a grand adventure to find a legendary city that hasn’t been seen for nearly five hundred years. What he finds in the jungle is both thrilling and terrifying, and we’re not just talking about the giant snakes. 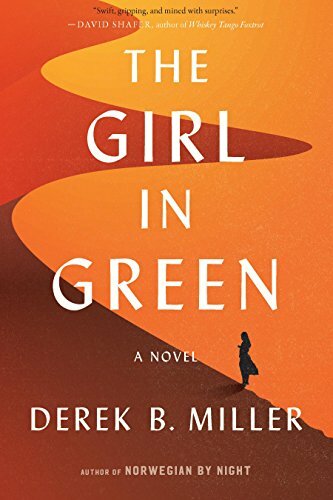 And speaking of thrilling tales, Derek B. Miller returns with The Girl in Green, a book whose cover is not tinted the slightest bit green. The Girl is Green is about two very different men who become bound over a mysterious tragedy during the Iraq War, and who come together again two decades later when fate offers them another chance to save someone who has haunted them deeply during the last twenty years. Who? Well, we’ll give you one guess . 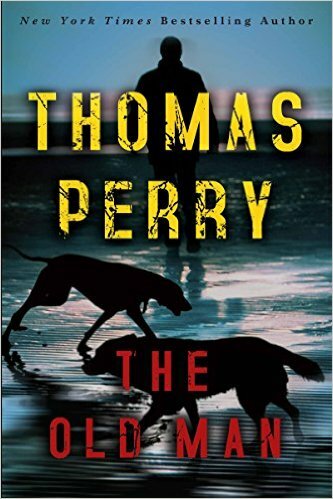 . .
And speaking of mysterious pasts circling back around and banging you in the face again, Thomas Perry’s The Old Man is a crackling thriller about an old Army intelligence officer who learns the value of being prepared, even after thirty years of hiding. This one comes with “armed mercenaries, spectacularly crashed cars, a precarious love interest, and an unforgettable chase scene through the snow.” In case you were working off a checklist for your next thriller. And speaking of checklists, Emily Fridlund’s History of Wolves comes with a bunch of checklist ready buzzwords in the opening paragraph of its flap copy. 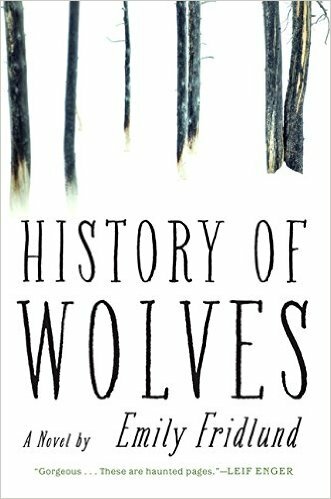 “One of the most daring literary debuts of the season, History of Wolves is a profound and propulsive novel from urgent, new voice in American fiction.” We count four checkmarks in that opener. Pretty solid start, don’t you think? Snark aside, the prose is very nice and there is undeniably a haunted quality to Fridlund’s voice. 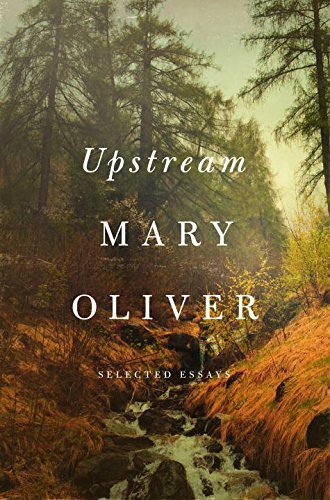 And speaking of prose and the feeling of being haunted, we’d like to wander back a few months and pluck Mary Oliver’s Upstream off the shelf and curl up in the green chair by the poetry section and lose ourselves again for an afternoon or two in the ephemeral elegance of Oliver’s essays. Come, let us go, like she does and walk, all day, across the heaven-verging field. Let us linger on her axiomatic statement that attention is the beginning of devotion. Let us savor the sweet suggestions of simplicity. ALICE: Did you get Colby something for the holidays? BOB: I said nice things to him. BOB: I guess not then. ALICE: Do I have to do everything? BOB: You do a remarkably better job more often than not, so . . .
ALICE: <sigh> I see why the marmot dislikes you. BOB: He doesn’t dislike me. He just has troubles expressing his emotions. ALICE: I think you don’t quite understand how emotions work. BOB: Well, that’s a little bit much, don’t you think? ALICE: Like, what is my face telling you right now? BOB: That I forgot to pick up something at the store? ALICE: I stand by my statement. BOB: Okay, fine. I’ll get the marmot something. How about one of those t-shirts? ALICE: Bob! They don’t make them in his size! BOB: Maybe we can turn it into a blanket or something. It’s the thought that counts, right? ALICE: Yes, but sometimes the actual gift is important too. BOB: Ugh, this is so complicated. I’m just going to bring him a sack of nuts. ALICE: They don’t eat nuts. BOB: Look. If you have so many opinions about this, maybe you should just take care of it yourself. Oh, oh, great. Now you’re making that face again. ALICE: Somedays, beardy man, you really test me.